Do you have a need for speed?! Do you like to save money, all while enjoying yourself too?! 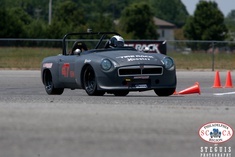 Grassroots Motorsports is having their annual Christmas in July event. Only $10 for the whole year. THE WHOLE YEAR. Just use Promo code HOHO You know you need it. The frantically scootering santa is excellent! CRAP!! I subscribed and put in the Promo code. But I didnt realize there was a little Submit button next to it that you had to hit. Should I shoot an email off to customer service or is there some way I can fix that myself? Doh! Email nancy@grassrootsmotorsports.com, she should be able to help.